HEARING TECH EXPO IN PICTURES! 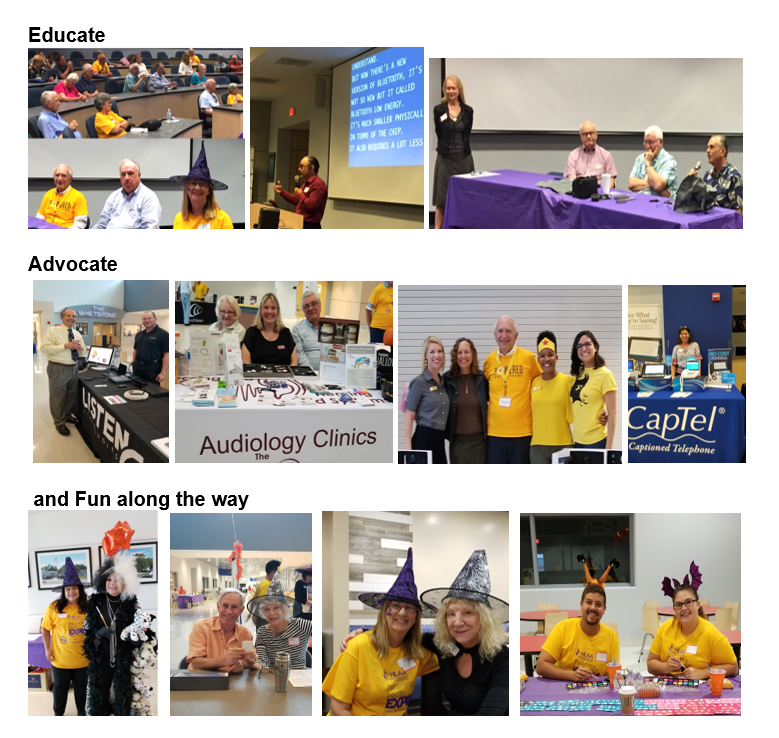 The Chapter’s mission to open the world of communication to people with hearing loss by providing education, support and advocacy was carried out at the 7th Annual Hearing Tech Expo on October 27. The largest consumer hearing health fair in Florida is Saturday, October 27 from 9 a.m. to 4 p.m.
Free admission. Free hearing aid trials. Free hearing screenings. Free audiologist consultations. Free access to Over 50 exhibitors covering all facets of devices, technologies, hearing care treatment and support groups.